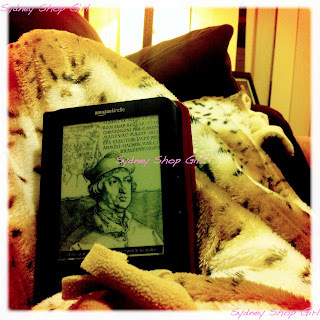 Sydney Shop Girl: In Which I Am Photographed With and Photograph Nicole. In Which I Am Photographed With and Photograph Nicole. If there's been a day this week where 'all's well that ends well' needed to be uttered (and believed) then today was the day. It was meant to be a day spent leisurely flitting from one commitment to the next but all hell broke loose at the crack of dawn and I had to get myself to work to sort out a kerfuffle. Which then meant my programme for the day found itself condensed into 3 less hours and that I'd be lucky if I was able to fit in everything that I needed and wanted to do. But I think God was smiling on me today and telling me in His own way that I'd gotten the priorities of my day right. With the benefit of hindsight, it was a fortuitous decision to get in to work and sort out the issues early and I now have a sense that I can go to bed tonight knowing that I did all that I could when I could. Just in case anyone missed my excited tweeting and retweeting last night, the big event of my day was meant to be meeting Nicole Richie at DJs in the CBD. 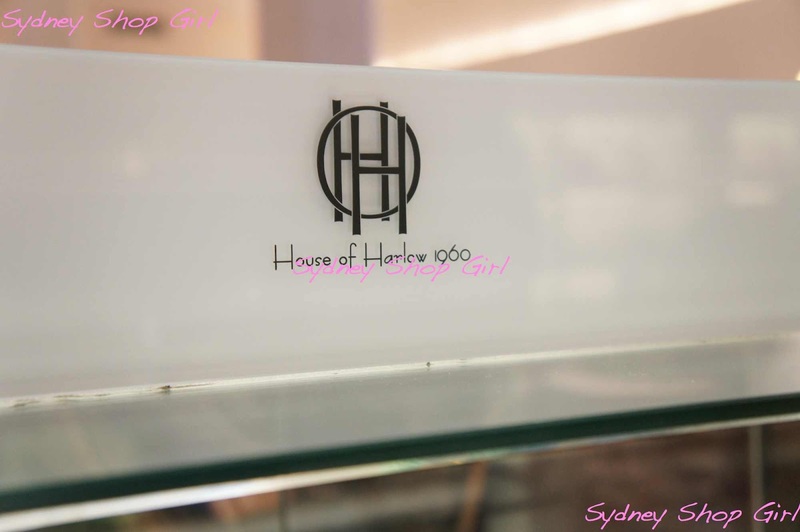 It turns out that Nicole was celebrating the launch of House of Harlow 1960 at David Jones and this was the second of her scheduled appearances for David Jones. Full points to Nicole for tearing herself away from Joel and the kids on such a beautiful Saturday morning to go to work. I tore through the Beauty Hall and got to ladies accessories at 11.23am. Not leaving me much time to make the requisite House of Harlow purchase before joining the queue for Nicole. The security and public relations staff were all very kind and let me line up without making my purchase first. I think they've seen me in the area quite a few times making quite a few purchases. 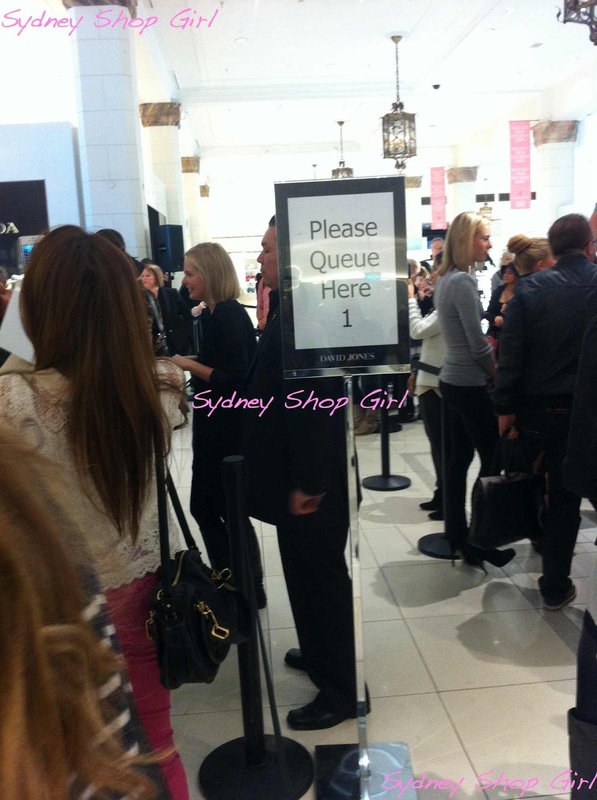 I ended up being the second last person in line before the queue was closed. I was far enough back in the queue to have a quick look see at the range and also to make some critical purchasing decisions. Did I need another clutch? 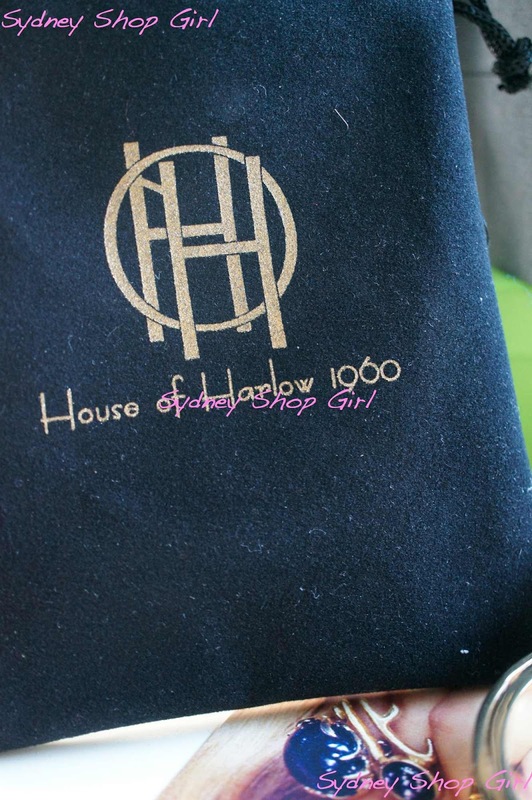 Marley Clutch by House of Harlow 1960 - $249. Or would I get more use out of a couple of bangles this winter? 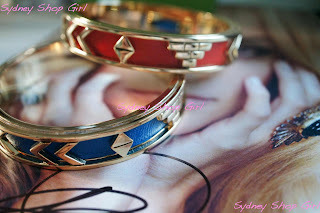 Aztec Bangles by House of Harlow 1960 - $99 each. Probably the bangles. My clutch carrying nights out are probably way, way, way in my past now. Across from Nicole's podium was a second with a camera crew. Between the two podiums were at least 4 photographers with serious cameras and even more serious lenses. 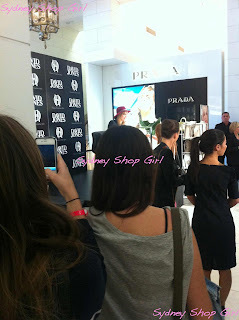 It was a very orderly queue and there were cameras and frighteningly perfect fashion people everywhere. If you couldn't tell from the hair, make up and heels on a Saturday morning, the yellow 'Visitor' stickers were a fourth clue. They were all very friendly though, as were the suited security men. Nicole sat at the podium calmly doing her thing and either she radiated that calmness to the room or the soothing DJs marble floor and brass light fittings exuded calm to her. Perhaps it was reciprocal. Whatever the case, it was a very tranquil place for me to be after a hectic morning. Good heavens, I've completely forgotten what Nicole wore. Except for that red velvet hat. She looked fabulous, very 'natural' as my mother would say. She's on a 'less is more' in the make up stakes crusade at the moment and she's so happy I've decided to embrace her mantra. 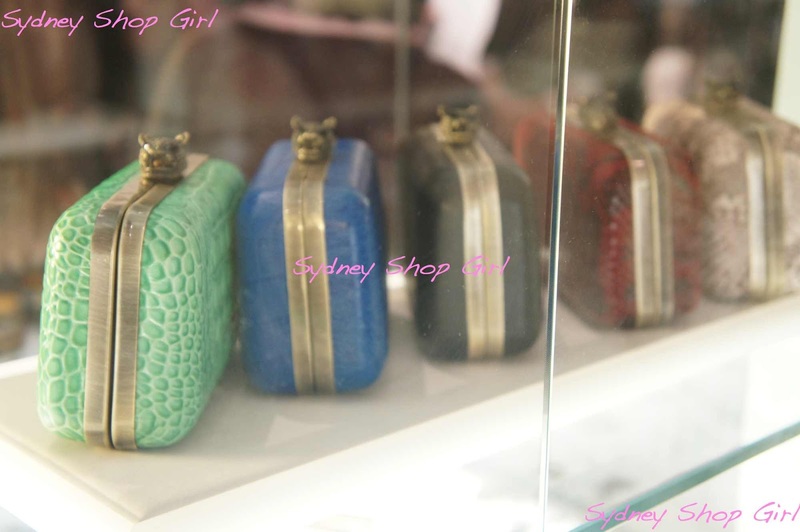 I think I mumbled something at Nicole about whether she liked Sydney to which she replied that she did 'very much'. Then a fashion person 'arranged' me in front of Nicole and then a DJs photographer (or several) took a photo of Nicole and I for the DJs Facebook page. It was over in a flurry of shutter releases. After I made my way through the security and media barricades, I turned back to the main stage and it was Saturday morning trading as usual. Nicole had left the building as quietly as she had inhabited it. Poncho - M Missoni via Gilt Groupe, ls T - Supre, skinnies - J brand, boots - Bally, bag - Hermes. For the record, I went with yet another heavily discounted piece of M Missoni for my Nicole Richie moment. I bought a pair of Aztec bangles, one in an electric blue and the other a deep orange. At first I thought the colours were enamel but they're actually leather. I think they're going to brighten up my winter greys, blacks and creams nicely. 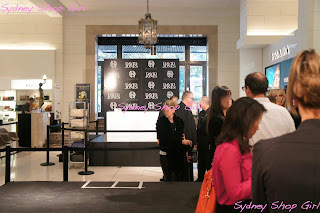 It wasn't all bangle shopping with celebrity fashion icons today. I was on a winter knitwear shopping mission and I needed a huge hit of sugar and chocolate to get me through it. 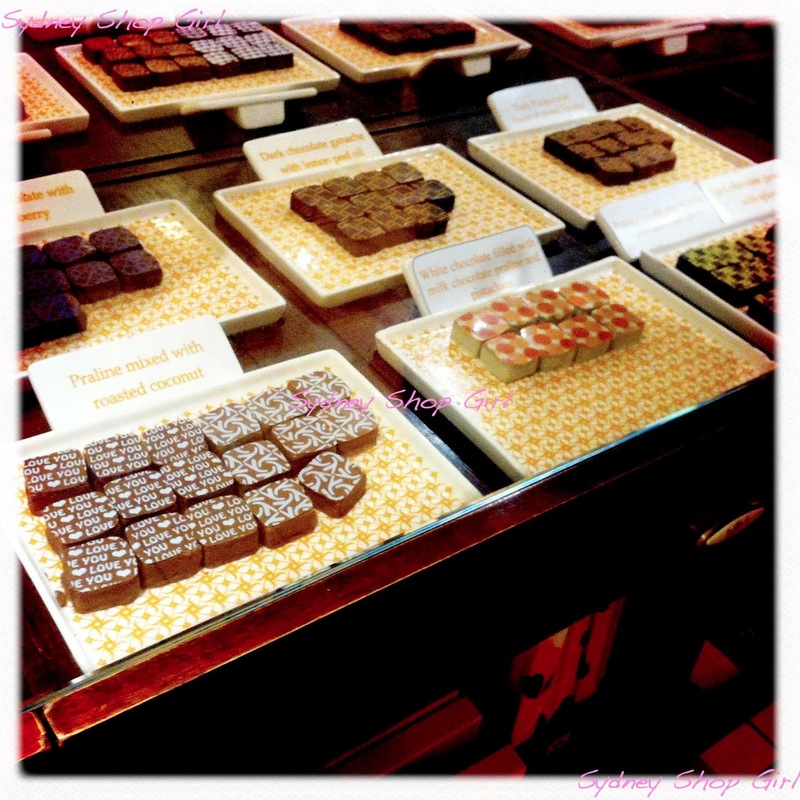 Max Brenner can always be counted on to come up with the goods. It was a challenge, but I managed to choose 4 chocolates for my little takeaway box whilst my hot chocolate was being made. Some fast and furious shopping ensued and I reckon I'm now good for the entire winter. I'm also too lazy to have unpacked it all tonight so I will have to tell you about my haul another time. 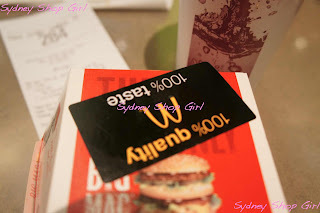 I finished my eventful morning with lunch at Maccas. We're paying Tokyo prices for our Big Macs, people. Tokyo prices. A special order Big Mac (without lettuce) and a large orange juice cost $8.45!! I think it would've been cheaper to have had my Big Mac with Coke Zero and french fries. I'll remember for next time. There was general busyness this afternoon and now, at last, some quiet time. I perfected sofa time last night and I'm off now to do it all over again. Must have been so fun to meet Nicole, you're so lucky! Love the bangles that you picked too, I've been eyeing them for a while. Nice to see that DJ's prices aren't too inflated on them either. The blue and orange will go so well together. Shame the day started off so badly with work stuff though! The bangles were a great choice! Although a little on the exy side for my liking. 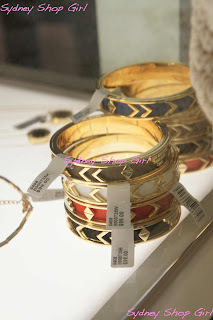 Those bangles are gorgeous! And you look great in that poncho. 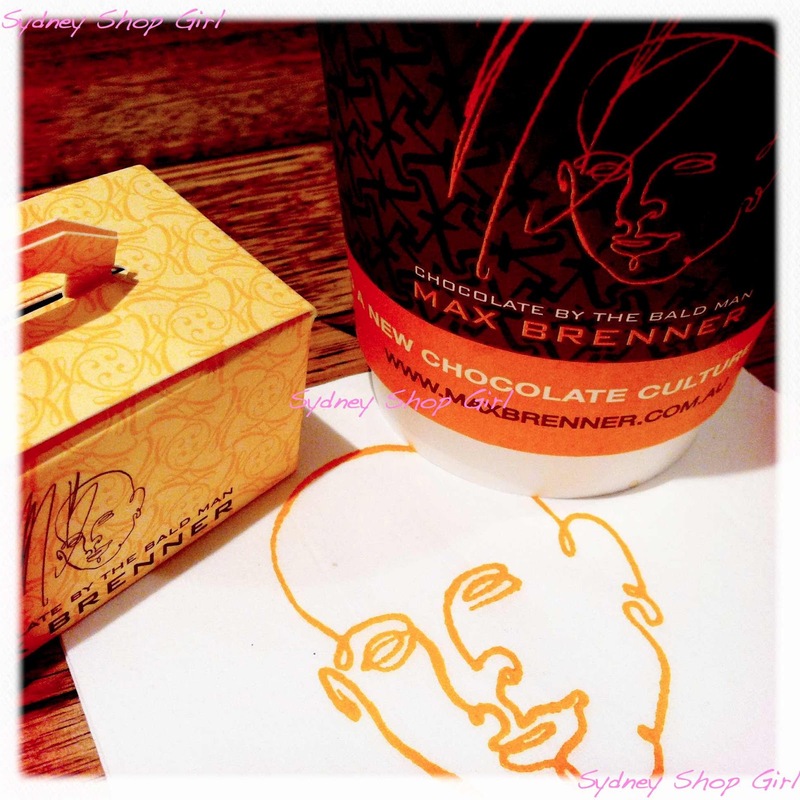 Max Brenner is prefect shopping fuel. Totally agree about Max Brenner! Nice to meet you and thanks for reading my blog. Hell yeah, shoulda got the fries! Thanks for stopping by on the blog. MIssoni is always so much fun! Get in while you can, I think DJs had rather limited stock of the colour versions of the Aztec bangle. Thanks for the well wishes, Mica. Lucky you! I have one of the Aztec bracelets in black, and I get so much wear out of it. You've inspired me to try it in a brighter colour! Get the fries!!! Love the bangles... I'm starting to really want her HoH items!